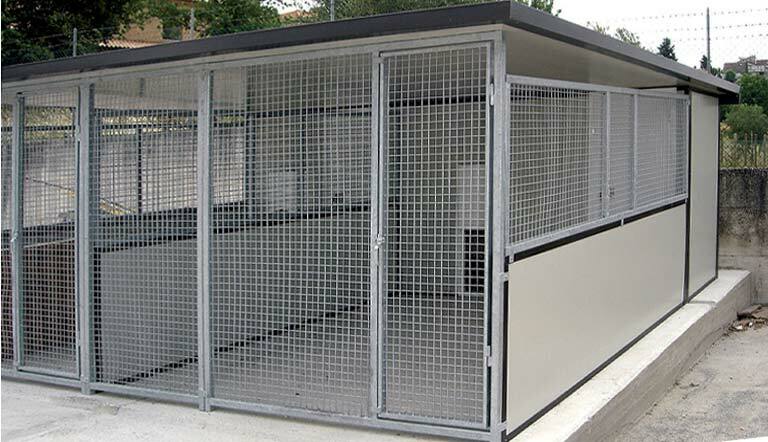 A kennel is composed of a number of modules. 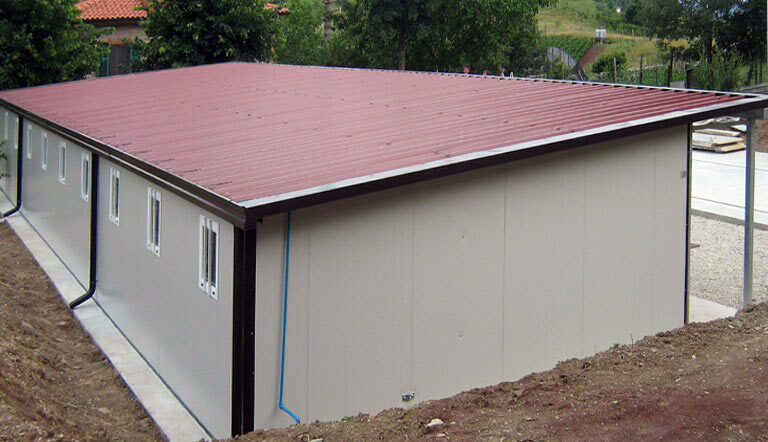 Each module is called a box and each box can come with one or more dwellings. The 2 zones box comes with two separate dwellings: the day zone and the night zone. 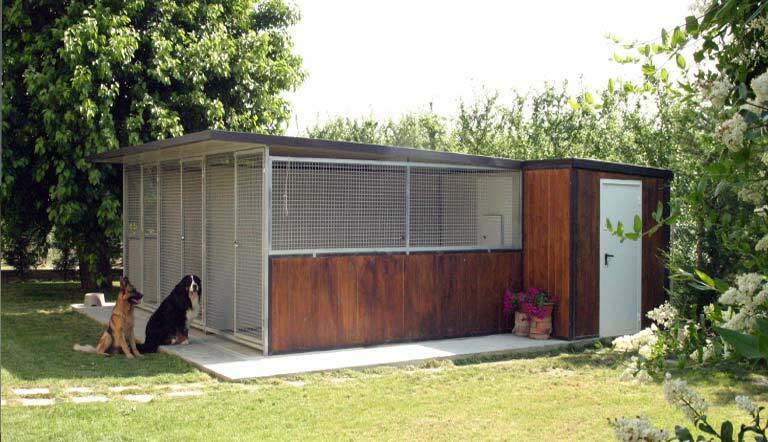 The night zone is a thermally insulated shed where the dog can rest. It can also be used as Labor and Delivery Room. The day zone is an open-air deck that faces the outdoor space. The day zone can be partially or totally roof-covered. 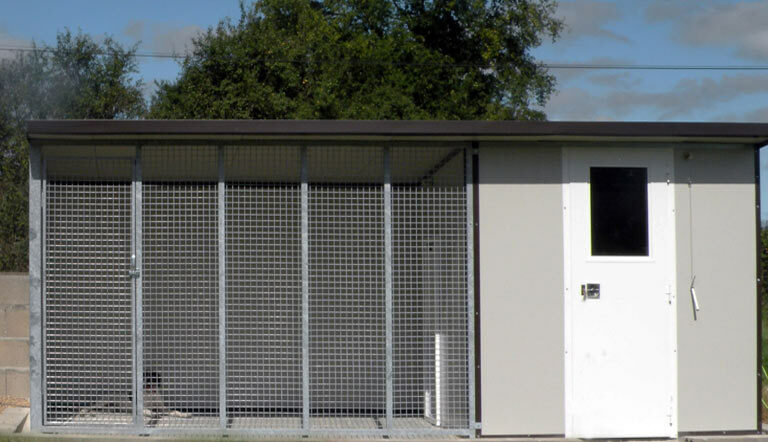 Each Box is separated by two side partition walls made of insulated panel on the lower side and a galvanised steel square welded wire mesh panel on the higher side. 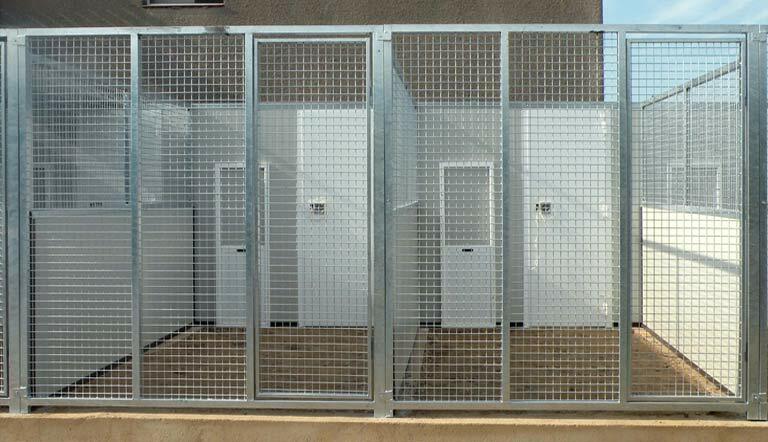 Day zone and night zone are separated by a wall of insulated panels. 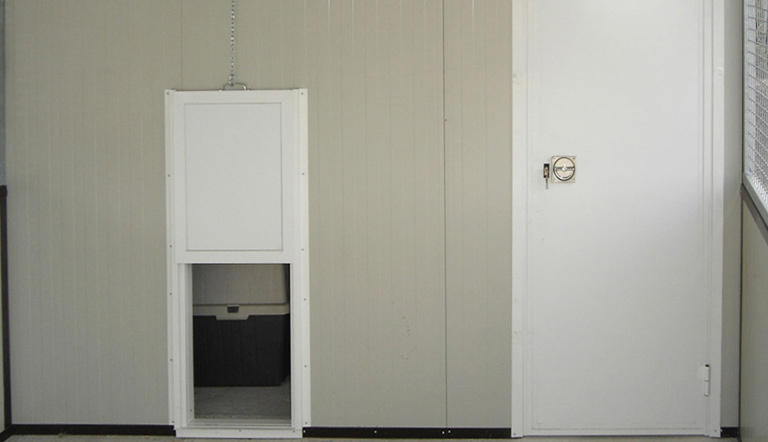 Kennel operators can access both areas through a door while the dog can walk through a wall-mounted transfer door whose opening/closing is mechanically controlled by a cable guide. The transfer door is a rectangular-shaped window placed onthe bottom side of the wall. 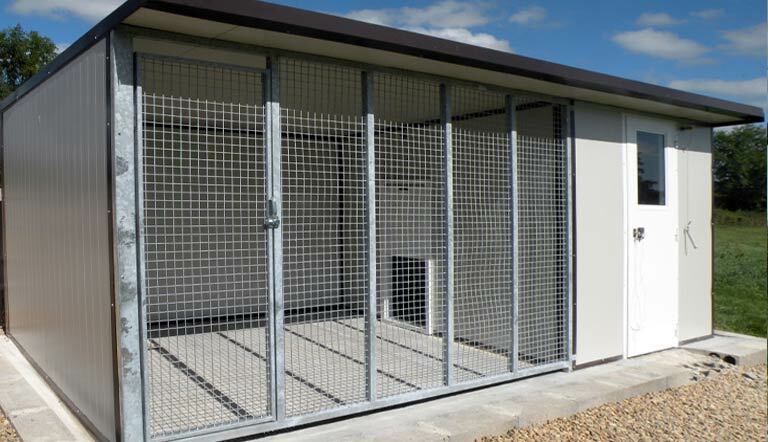 The front side of this kennel is made of a galvanized steel square welded wire mesh frame with a gate and a special latch handle.